Dispatch Injectable is a patented technology that maximizes irrigation efficiency, allowing you to save water and energy. The Injectable formulation is designed to be easily injected during irrigation. 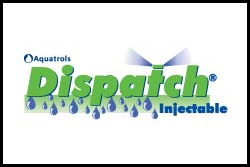 Start enjoying water savings and better turf performance with Dispatch®.